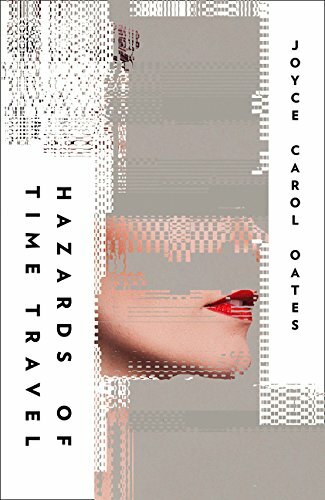 The idea of this transportation, of what it might be to exile someone to the past in the hope that their transgressive personalities might be changed through the loss of their family, friends and technology, makes Hazards of Time Travel a compelling idea. In reality, the book has a tendency to meander. It’s hard to grasp how the novel hangs together as its main character has a shifting awareness of her state. There is an experimental feel to the way the novel unfolds, at one point moving from the first person to an alternative group perspective. And whilst this experimental feel is true to the manipulative possibilities of science and governmental control, there is a part of me that longs for the novel to step outside of the confines of romantic obsession, or to form a greater cohesive narrative. In the end, I’m as unsure of what to feel or believe as Adriane and though this may be the point, it leaves a rather empty feeling on the palate of the mind. I turned the pages of Adriane’s exile with great gusto, but in the end was left with a sense of deflation. This may be the move from the stereotypes of teenage passion to the middle-aged acceptance of mediocrity, a theme the novel touches on by disparaging Wainscotia as a university where promising students and ideas fail to create anything of lasting importance, but aside from this thematic introduction, the novel fails to explore the idea further. Is life about accepting what is rather than striving for what might be? What do we really need to continue to live and thrive? What, ultimately, is thought for? Certainly, Hazards of Time Travel wants to explore the idea of a soul, of something immeasurable inside living things that can’t be assessed or controlled purely through behaviour or external stimuli and yet it offers little obvious alternative. If life is about experiencing things one breath at a time – something Adriane’s father encourages her to do – then either the inner and outer life can be lived separately (not wildly satisfactory) or the inner life is expressed outwards at potential cost to the whole. It’s almost like a novel of increased diminishment that conversely brings increased contentment (though Adriane is as subversive in her forgetting – you’ll see what I mean at the end – as she is when she’s first exiled) and yet the whole idea of achievement, of the creation of things that have lasting importance for the world of the future, isn’t fully questioned. I think we are meant to understand that a kind of Buddhist acceptance of the moment, a love for the process rather than the outcome, is how we should strive to truly exist, but the novel struggles to fully dismiss the attractiveness of externally assessed achievement and success. All of this and I haven’t even talked about what the novel might be wanting to say about what our future would look like if questioning authority in any way – its version of history, its rule of law – becomes a thing of the past, something Hazards of Time Travel is really set up to question. Perhaps this is because it takes a side step out of this narrative and sets a pursuit of academic accolade against a need to conform and I’m not sure this comparison is the best way to question the need for critical thinking in society. The story line narrows Oates’ chosen field of enquiry, or perhaps I’m just reading it all wrong. I’m not sure what to think of Hazards of Time Travel. I’ve certainly preferred some of Oates’ previous work, but this novel will entice many with its possible visions of life as it may be and it asks lots of interesting questions a reader can go away pondering. Next week, I’ll be reading 99 Nights in Logar by Jamil Jan Kochai.